These long pill-shaped signs measures 72″ by 14″. The signs are bright blue with white text and mounting holes. 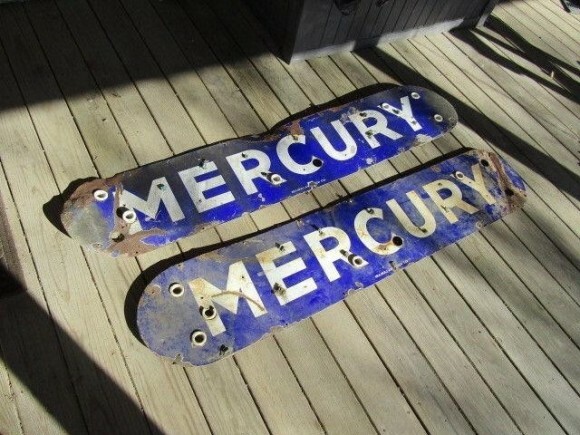 The sign reads “Mercury” in white lettering.